It’s that time of year—time to get the very best gifts for your friends and family. During the season of giving, it’s important to find the best places with all of the gifts you’re looking for. 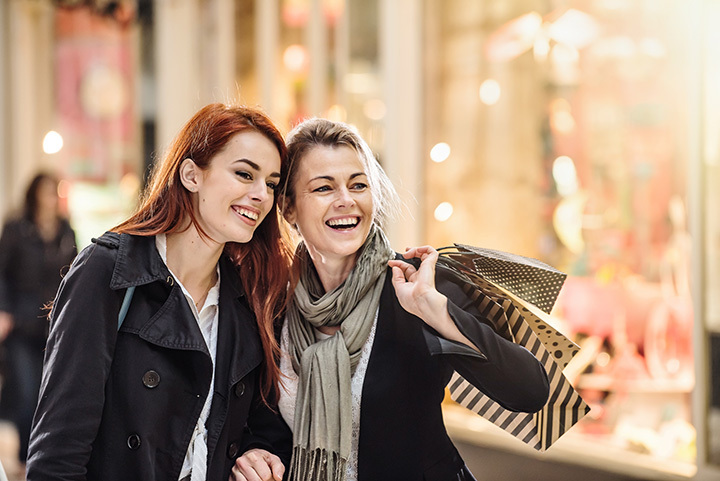 In Mississippi, from malls in Biloxi to outlets in Gulfport, you can have a thorough and successful holiday shopping experience. Here are the 15 greatest holiday shopping destinations in the state! Located near the border of Biloxi and Gulfport, Edgewater Mall is, as the name suggests, right on the beach. Find everything you need in a traditional indoor mall atmosphere. The kids will love the indoor carousel and rock-climbing wall—not to mention the food court! For even more options, be sure to check out the outdoor shops in adjoining Edgewater Village. Ocean Springs is a quiet little artsy community on the Mississippi Gulf Coast, and their downtown is home to some of the best shopping in the area. Stroll down charming streets and browse unique boutiques and galleries to find just the right gift for your loved ones—and something for yourself, of course! Fondren is the capitol city’s arts district, and there are tons of funky and cool shops to choose from in this neighborhood. Make a day of browsing through owner-operated boutiques, visual art galleries, antique stores, and dining options. You're sure to find something you can't find anywhere else! According to Oxford's tourism website, the Square has been an important economical center in Oxford since the town was incorporated in 1837. Among the rich variety of shops, you'll find Neilson's, which (according to a plaque on the building) was founded in 1839. Canton is another beautiful example of a shopping district located in a historic square. Canton's square is centered around its original courthouse, and features many shops, including the Emporium—a one-of-a-kind marketplace which is home to over 40 vendors. According to the Canton tourism website, the Square has been featured in five major motion pictures! Natchez is the oldest permanent settlement on the Mississippi River, and the historic downtown area is the perfect place to do some shopping. Take some time to enjoy the beautiful old homes and natural scenery as you walk down the riverwalks and browse through the shops and restaurants. You'll find whatever you need at Gulfport Premium Outlets, from housewares to fashion and more. Only a few miles from the beach, the cheerful yellow buildings provide a pleasant atmosphere as you browse outlet selections from your favorite brands. Find great deals from big designers, and grab a snack in the food court. Northpark Mall is located in Ridgeland, which is part of the Jackson Metro Area. This two-story mall is home to all of your favorite stores in a convenient indoor setting. Skylights help create an open feel as you browse through this elegant but trendy and affordable mall. Located just east of Jackson, Outlets of Mississippi is the largest outlet mall in the state. The shopping center is made up of 76 stores—no matter what you're looking for, you're sure to find it here. There's even a playground for the kids, so bring the whole family! Another new entry, this outlet mall is only minutes away from Southaven Towne Center. Built to accommodate the growing population, this outlet mall is perfect for finding great deals! Shop the day away, then take a trip into nearby Memphis to visit iconic attractions like Elvis' home Graceland, legendary Sun Studios, or the inspirational National Civil Rights Museum.